In 2013, the U.S. produced 254 million tons of garbage, or municipal solid waste. 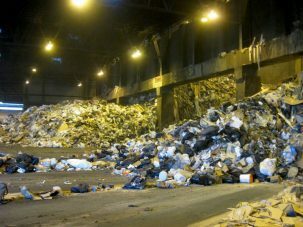 About 87 million tons of this was either composted or recycled, 32.7 million tons were burned for energy and 134.3 million tons went to landfills. 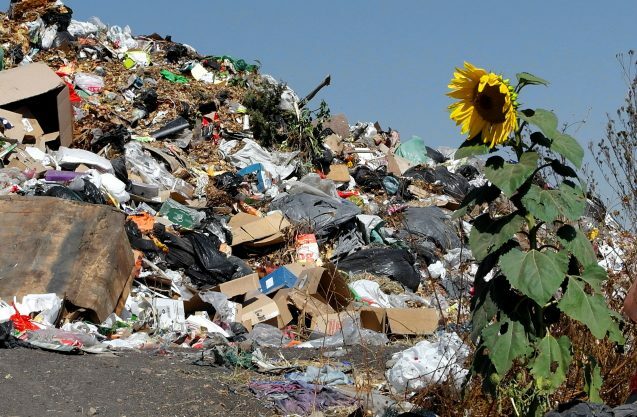 Municipal solid waste consists of paper, cardboard, food, grass clippings, leaves, wood, leather, plastics, metals and petroleum-based synthetic materials. 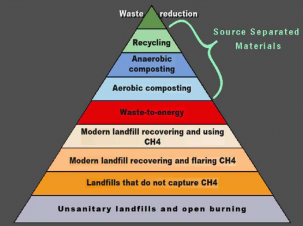 No single approach can handle all types of waste, so a “hierarchy of waste management” is used to rank the strategies of dealing with waste according to their environmental impacts. A key principle of sustainable waste management is to try to deal with waste as high up on the waste hierarchy as possible. The first priority is to avoid producing waste by reducing consumption and packaging. The next best option is to recycle; composting organic waste comes next. This is followed by combusting the post-recycled waste for energy and then finally, landfilling. The number of U.S. landfills has decreased over the years, but the average size of existing landfills has increased. Landfills can emit carbon dioxide, methane, volatile organic compounds and other hazardous pollutants into the air. In the U.S., they are the third largest contributor of methane emissions, whose global warming potential is 25 times more potent than carbon dioxide’s over 100 years. Landfill gases can also move underground, potentially causing fires and explosions, and the liquid or leachate that accumulates in landfills can contaminate groundwater. Moreover, landfills are unsightly and odorous. Landfilling solid waste brings with it the problems described above, and also means that all the energy inherent in the waste is squandered. Burning the waste in waste-to-energy plants not only reduces its volume by 87 percent, but can also harness its embedded energy and put it to good use. Plants that burn waste to produce electricity were first constructed in the 1970s. After the Clean Air Act came into effect, it became clear that the plants were producing dangerous mercury and dioxin emissions; standards were established that banned uncontrolled burning of waste and limited emissions of particulate matter. During the 1990s, the U.S. Environmental Protection Agency established the Maximum Achievable Control Technology regulations, which required waste-to-energy facilities to install air pollution controls. In 2007, EPA compared waste-to-energy emissions between 1990 and 2005; it found decreases of 24 percent in nitrogen oxide, 88 percent in sulfur dioxide, 99 percent in dioxins and 96 percent in mercury. In the U.S., there are currently 77 waste-to-energy facilities in 22 states, processing 95,023 tons of waste each day, capable of generating 20,800 gigawatt hours of electricity a year. Europe has over 400 such plants, and another 300 are found in other parts of the world. Most of these plants are mass burn facilities. Waste is stored in large bunkers, then transported to a moving grate in a furnace where it is burned at over 850˚C for at least two seconds to ensure complete combustion. The heat from the furnace heats water in a boiler, creating steam that turns a turbine to drive a generator that makes electricity. The electricity then enters the grid. In Europe, some plants combine electricity generation with a district heating system, using the excess steam to create heat used to heat homes. About 20 percent of what is left after burning is non-hazardous bottom ash; some of it is used for cover at landfills to reduce leachate or is landfilled. In Europe, it is often used in the construction industry or for road building. The burning of plastics like polyvinyl chloride produces toxic emissions, so the boiler’s exhaust, flue gas, must be treated with filters, absorption, scrubbing, and/or other equipment before it can be released into the atmosphere. The flue gas contains fly ash consisting of particulate matter and toxic chemicals. The fly ash is less than 5 percent of the waste entering the plant; it can be treated, but needs to be disposed of as hazardous waste. In fact, all the pollutants, even if filtered or trapped, need to be disposed of in special landfills. The wastewater produced by the plant is treated then released. The Clean Air Act sets standards for the emission of sulfur dioxide, hydrogen chloride, nitrogen oxides, carbon monoxide, particulates, cadmium, lead, mercury and dioxins. The federal Resource Conservation and Recovery Act requires testing of the leftover ash to ensure that it is not hazardous and is properly disposed of or reused. State requirements are sometimes even more stringent than the federal regulations. Because dioxin emissions are the main concern with waste-to-energy plants, Nickolas Themelis, director and founder of Columbia University’s Earth Engineering Center and chair of the Global Waste-to-Energy Research and Technology Council, and his student Henri Dwyer published an inventory of 2012 dioxin emissions. Covanta, an industry leader with 41 facilities around the world, asserts that its U.S. plants operate at more than 60 to 90 percent below the required emissions limits. Its state-of-the-art emissions controls technology inject ammonia or urea into the furnace to turn nitrogen oxide (a component of smog and acid rain) into harmless nitrogen; activated carbon added to the flue gases absorbs mercury and dioxins; lime slurry is sprayed into the exhaust, removing 95 percent of sulfur dioxide and hydrochloric acid; and a “baghouse,” much like a vacuum cleaner, removes 99.5 percent of the particulate matter from the flue gas. Covanta monitors emissions 24/7. 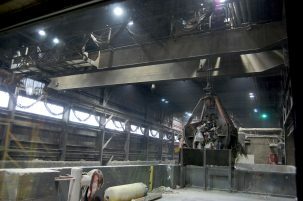 Besides sustainably managing waste, waste-to-energy plants provide other benefits, such as gate fees (the fee per ton paid by the municipality to the facility for receiving the waste), the electricity and/or co-generated heat that is produced, the value of scrap metal collected, and potentially, carbon credits for renewable energy (Because its fuel source is sustainable, waste-to-energy is considered a renewable technology). An average plant processing municipal solid waste can generate about 500-600 kWh per ton; at 6 cents per kWh, a ton of waste can bring in $30 to $36. Producing electricity through waste instead of fossil fuels also saves one barrel of oil or one quarter ton of coal for every ton of solid waste that is combusted. In terms of CO2 emissions, when this method is compared to landfills that do not recover their methane emissions, waste-to-energy saves one ton of CO2 per ton of waste; when compared to landfills that do recover their landfill gases, it saves about half a ton of CO2 per ton of waste. Three new technologies have the potential to further reduce toxic emissions, leave less residue and produce syngas, a gas mixture which can be used as fuel for electricity or made into other energy products. The three new technologies— gasification, plasma gasification and pyrolysis—are considered “conversion technologies,” which are technologies that do not involve combustion (burning with oxygen). They super-heat solid waste in low-oxygen environments, which greatly reduces the production of toxic emissions, and facilitates the immediate recovery of metals and slag so less residue goes to landfills and that which remains is less toxic. Despite these advantages, none of these new technologies have yet been launched at commercial scale in the U.S. In Japan and Europe, where land for landfills is scarce, conversion technology plants have been supported with government subsidies and favorable regulations. But costs are high, because some plants require more homogeneous waste, the pre-sorting of which adds to the cost, and the current methods of cleaning syngas are expensive. Bourtsalas explained that while mass burning plants can process over 1,000 tons of solid waste a day, the conversion technology plants in Japan process only about 100 tons a day; they are in the pilot stage. The $900 million Tees Valley facility in the U.K. was built using gasification to process 700,000 tons of waste per year. Set to open in 2015, it never got off the ground, and went bankrupt. Plastics comprise 13 percent of municipal solid waste. 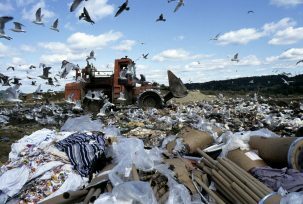 Because U.S. recycling rates have been stuck at around 34 percent for years, some advocates for conversion technologies argue that recycling and composting cannot deal with all the waste, and that in order to reduce the amount going to landfills, some form of thermal processing is necessary. Those against waste-to-energy contend that it competes with recycling because the plants need to be able to process enough waste to be profitable, and sometimes must even haul it in from far away, creating more greenhouse gas emissions in transport. And since almost half the cost of a plant goes into pollution control, they maintain money could be better spent advancing waste reduction and recycling. In Europe, however, waste-to-energy is not a deterrent to recycling. Sweden, Denmark and the Netherlands are among the countries with the most waste-to-energy facilities, and have some of the highest recycling rates. A few of Europe’s state-of-the-art plants are now offering other attractions as well. 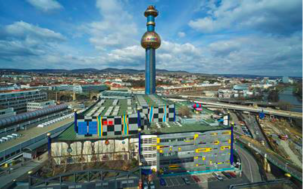 A plant in Copenhagen, set to open in March 2017, will feature a ski slope, and the Spittelau plant in Vienna is considered one of the city’s top 10 sightseeing sites because of its fanciful exterior design. In the U.S., waste-to-energy combusted about 12 percent of municipal solid waste in 2013, down from 15 percent in the early 1990s. This is in part because landfilling is still a more economical option in the U.S., where land is plentiful. The exceptions are places like New York City that need to transport trash long distances. For many years, New York has sent about 550,000 tons of waste to waste-to-energy plants in other parts of the state, but recently, the Department of Sanitation committed to send 800,000 tons, with increases in the future. 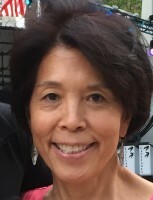 In New York City, 25 percent of the waste goes to such plants and 75 percent goes to landfills, which is better than the national average of 10 percent and 90 percent, said Themelis. There are several reasons for the stalled development of waste-to-energy in the U.S. 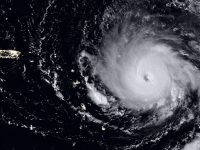 It still has an unfounded reputation for pollution in some circles, and communities may object to siting facilities in their midst. In addition, the cost of building a new facility is high, and it can take years to provide economic benefits. The first and only waste-to-energy plant to be built in the U.S. since 1995 began operating last summer in Palm Beach County, Fla. The $672 million state-of-the-art plant expects to reduce waste going to the landfill by 90 percent, generate 100 MW of electricity, and recover 27,000 tons of metals after the waste is combusted each year. It meets the lowest emissions limits of any such facility in operation in the U.S. 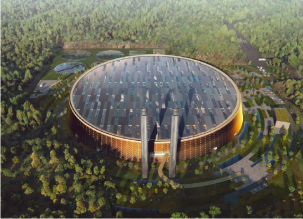 The world’s largest waste-to-energy plant is being built in Shenzhen, China. Set on 35 acres with a stadium design, the five-acre facility will incinerate 5,500 tons of waste daily, one-third of the garbage generated by the residents of Shenzhen. The state-of-the-art plant, which is expected to open by 2020, also features a park and a hotel. The growth of the technology in China is noteworthy: In 2005, it had 15 waste-to-energy plants; today there are 188. Oslo, Norway’s Klemetsrud plant, which produces electricity and heat, also emits over 330,700 tons of CO2 each year as it burns municipal solid waste. Recently, the plant ran a test to capture CO2 emissions from the fumes and was able to keep up to 90 percent of them from entering the atmosphere. 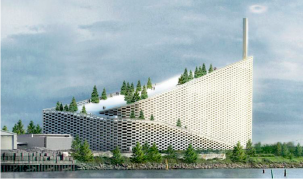 Norway is now planning a $300 million full-scale carbon capture plant by 2020. 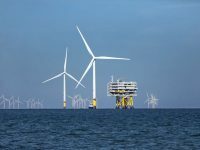 The captured CO2 will be shipped to the North Sea to be injected and stored under the sea, or injected into oil and gas fields to enhance production. The global waste-to-energy market is projected to grow about 5.9 percent yearly to reach $37.64 billion by 2020, up from $25.3 billion in 2013, according to a 2015 report. The Waste-to-Energy Research and Technology Council is helping foster this growth by promoting the best technologies, working with its sister organizations in Brazil, Chile, China, India, Italy and elsewhere, and spreading the word about the benefits of waste-to-energy. We pollute the world we live for money. poisoning ourselves. Do people smart? absurd. alternative energy has now become a necessity. That’s the future!!! If we want to save the environment and the planet we should think about reduce waste and turn it into something better and useful. 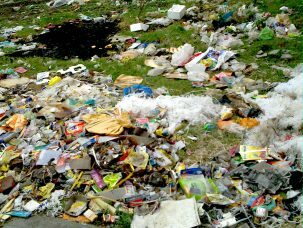 Waste disposal need the support of government, we can do our best to reduce waste, such as use less plastic bags, one-off product, etc. The consumption habits of modern consumer lifestyles are causing a huge worldwide waste problem. Having overfilled local landfill capacities, many first world nations are now exporting their refuse to third world countries. 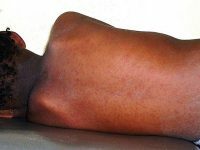 This is having a devastating impact on ecosystems and cultures throughout the world. The alternative ways to recycle waste as waste-to-energy should be a priority in every country! A deposit on all containers and packaging. It is good to read that the Chinese are rapidly expanding their Waste-to-Energy plant capacity, but surely the US should be showing similar rates of growth in these plants. Do the US citizens not care about their children’s environment as much as the Chinese? This is very surprising.